A textured glass floor and external steel balcony joined the new balustrade completed whilst the team were on site. 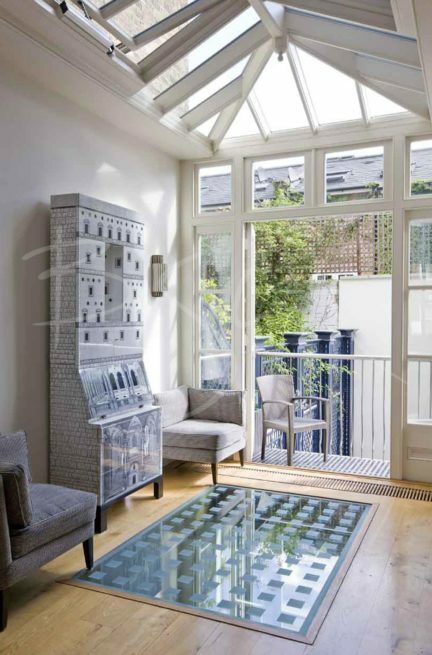 Not an uncommon occurrence, the client commissioned us for additional features for the property. 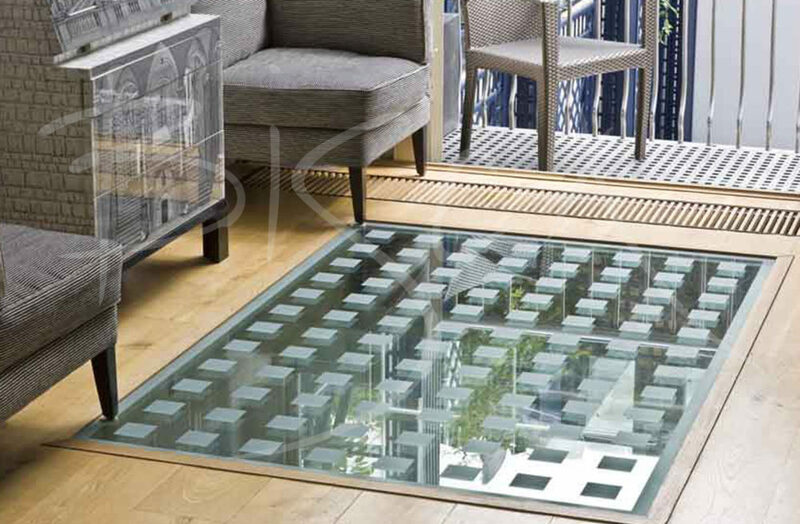 The large glass floor panel also lets light down into the ground floor. 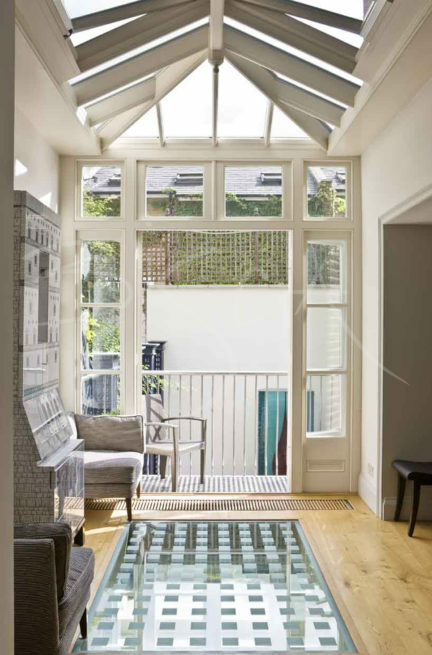 It transformed the once dull hallway into a light filled area, opening out onto the mews garden. An external steel balcony, designed and installed by Bisca, also overlook the garden, providing a relaxing area to sit in the evening sun.